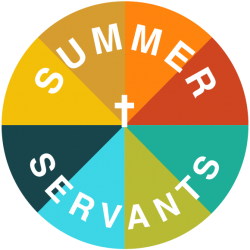 Summer Servants is an overnight mission trip for teens in located in Syracuse, NY. It aims to connect people to people, to reveal our commonalities and serve each other in our needs. We go into the heart of Syracuse and are transformed by our conversations, actions and experiences. We bring together youth groups to have a shared camp experience that will change your entire perspective on our city and your faith.